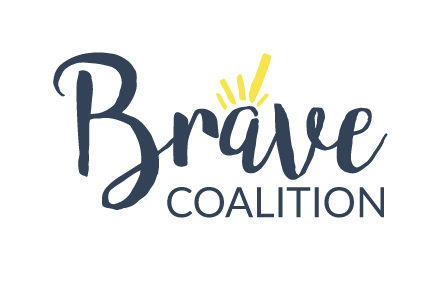 This guest blog is brought to you through Brave Coalition’s partnership with StoryCorp’s One Small Step project. One Small Step brings people with different political viewpoints together to record a StoryCorps interview with each other. Here is a reflection from one recent Denver participant. That’s how I read the invitation to participate in the Brave Coalition’s Partner project with StoryCorps, called One Small Step. “What kind of risk?” I thought. I tend to be selective in my willingness to take risks but I’m not entirely risk averse. Invest in an aggressive mutual fund? Sure. Set myself up for public humiliation? Not so much. As I read the email invitation what started to form in my mind seemed more like the second. “Have a conversation with a stranger, who has opposing, possibly exactly opposite political beliefs as me and have the whole thing recorded for the Library of Congress and possibly broadcast on the radio.” Well that is certainly something I have never done before. Why risk it? In a conversation, I thought, as opposed to a social media post there is the opportunity to listen; to hear and be heard as a human being rather than a segment or a nameless faceless enemy. I am of the opinion that there is a lot of ranting and very little listening happening in our current political environment. When I am engaged in a face to face conversation, I can’t escape the glaring reality that there is another person looking and listening to me. So, Yes, I can take a small step and be willing to listen to someone else share where her beliefs came from and what influenced her views. I was a little surprised to notice how much I enjoyed having someone listen to the origin and evolution of my own views. We talked for 45 minutes and apart from the baseball sized black foam microphones in front of us it was a fairly ordinary conversation. The major exception was that, on our own, we would have never had such a conversation. I got to see and share how in a number of instances we want the same results in our community we just have differing views on how to bring about those results. In the end neither of us changed our views, and to be clear that isn’t the objective of the One Small Step project, but we did have the opportunity to see that as people we have a lot in common, likely more in common than opposing. Without talking I would have been left with just my point of view. The view that there is no common ground between the Left and the Right and the distance is spreading between people. That’s how I feel when I spend any time reading Facebook and Twitter posts. However, having the opportunity to speak with, listen to and be heard by another person leaves me with some hope that what looks like a chasm of political ideology could just possibly be crossed by people willing to take just one small step.